SuparTipstar’s UFC Best Bet record to date is 11-22, +19.6u for an ROI of 51.44%. The focus of my best bet tonight is the heavyweight tilt between Derrick Lewis and Alexander Volkov. I personally feel like the betting market for this fight has given too much weight to Volkov’s victory over Werdum. Werdum is a great fighter but to me he fought very oddly in that fight. He didn’t look ‘on it’. He can be like that, see the Miocic loss. I think this also plays in to the fact that heavyweight is always short of contenders and anyone who can get a few wins and knock off a name is the next guy up. 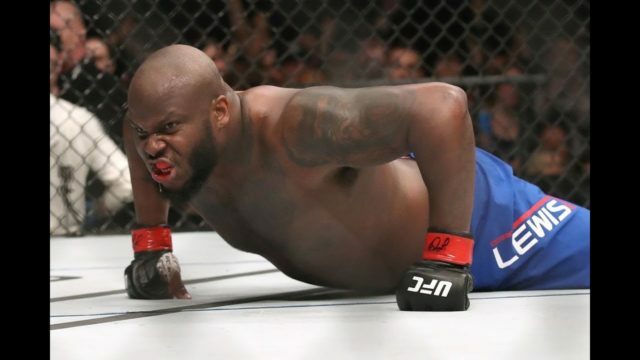 Derrick Lewis is coming into this fight off the back of the horrible Ngannou fight (which we cashed big on) and seems to have had a lot of problems with his back. If you look at what Lewis has done in the UFC, winning 8 of his last 9, 6 by KO, he stands out to me as a guy who belongs at the top of this division and he has more to him and his skillset than people think. Much like with Werdum, we are facing the possibility that Lewis shows up with a crippled back and fights for about 30 seconds before going back to what he did in the Ngannou fight. If he does that here, he will get smashed. If he is healthy enough to perform then he can carry the more danger on the feet, use that to control the pace of the fight, and mix in his wrestling and dominate ground game. I don’t see Lewis as the underdog in this fight, and I think there is good value to be found in him beating Volkov in dominant fashion. My best bet(s) for UFC 229 are Derrick Lewis in round 1 @ 6.0, +500 (Bet365), and Derrick Lewis in round 2 @ 8.0, +700 (Bet365). These are both 0.5u bets.